Today is week one of a three week readalong of Seanan McGuire’s The Winter Long (October Daye #8). Today Lisa at Over the Effing Rainbow is hosting the questions. The Goodreads page link is here. Feel free to join in or just jump into the discussion in the comments and be aware that spoilers will be lurking below for not only this book but for the previous books in the series. If you haven’t started reading the Toby Daye series and you like urban fantasy then I strongly recommend this series to you. 1. Simon is back, and unsurprisingly no one is happy. And he seems to be convinced that what he did to Toby saved her life… Do you think he’s telling the truth about that or is Team Toby absolutely right not to trust him? I’m not sure to be honest. The fact is, Simon was running around with Oleander – and she was all kinds of crazy and he seems a little unhinged himself. That being said, he did seem to believe what he was saying – but that could just be delusional I suppose? I don’t think you can trust him though – I think the real point for me with Simon is the way that his magic seems to smell rotten to Toby. From the sound of what Sylvester said his magic didn’t always smell that way so that makes me think that the tarnished smell of his magic is a reflection of his own corruption somehow. However, even though I think there is something off about him I can’t help thinking he seemed sincere – and conversely, although not the best solution maybe, turning Toby into a fish did keep her out of harms way didn’t it. Just who is it that intends her harm?? 2. Once again, Sylvester was keeping secrets – but this time he’s stepping up to the vengeful plate! Do you think Sylvester has what it takes to bring his brother down? And will he ever tell Toby the whole truth? I’m beginning to think that nobody in the land of the fae will every completely spill the beans – it does of course make for a much more intriguing read that way. I’m not sure if Sylvester has what it takes – in one respect I think he is very angry with his brother, but then in another do I really believe he could harm his brother if it came to that? I’m not even sure I want Sylvester to turn into that person. The other thing is it depends who is really at the root of all this – clearly somebody incredibly powerful? Was Simon acting in fear – he seems to have been in hiding for a long time. And I wonder what the incentive is for him showing up now? Is he still working for the same person and is this all some sort of trap to lure Toby out somehow? 3. Never thought we’d see the day, but this time around the Luidaeg seems to be in trouble and it might well be up to Toby to get her out of it. So now we know that the villain behind all of this is someone Toby knew … Any guesses about who? I’m not sure I completely understand how the Luidaeg got into trouble with the whole geas ‘thing’. If she was able to give Toby an answer then surely it wasn’t going against the restrictions of the geas? But, yeah, I’m not really sure what happened there. As to who this could be – I really don’t know. I’ve been hazarding all sorts of daft guesses but can’t really come up with anything sound – like I said above, surely to have placed such restrictions even on the Luidaeg then this person must be somebody formidable? The first thing I came up with was either Titania or Oberon – but that’s just really not a possibility and I can’t think of any reason why they would be involved. Blind Michael is no longer in the picture and given his demise the geas wouldn’t still hold if it had been him. Wasn’t there mention of another sister of Amandine and the Luidaeg? That’s the only other person I can think of. 4. That’s it for questions but as always, feel free to highlight anything else of interest for you this week! And Toby has a sister – August! 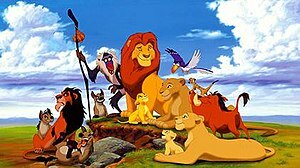 Who seems to have been missing for a very long time – and a similar number of years to the whole shenanigans with King Gilad. I can’t quite put it all together. I wonder if August was elf shot and has been sleeping?? And where is Armandine!! So many questions that my head hurts as much as Toby’s. It also occurs to me that the rather insane previous Queen of the Mists is still missing in action – is she working for the same person as Simon – was she involved? 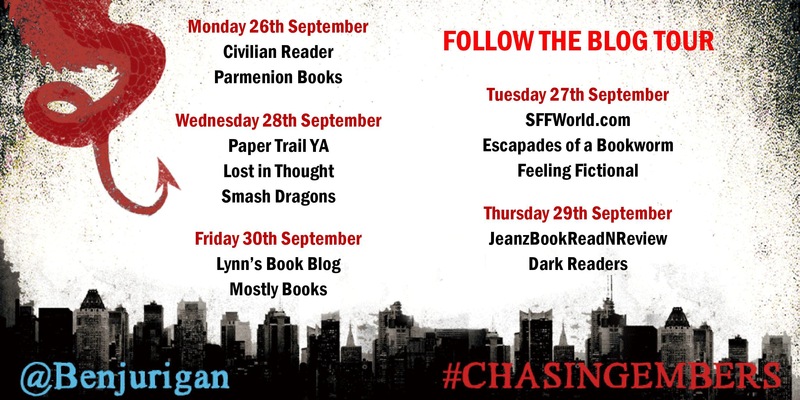 Today I’m very pleased to be taking part in the final leg of a blog tour for James Bennett”s debut novel ‘Chasing Embers’. The start of a new fantasy series that brings a fascinating twist to the stories and myths of old. I think the series gets off to a great start with plenty of action, gritty realism and of course dragons! 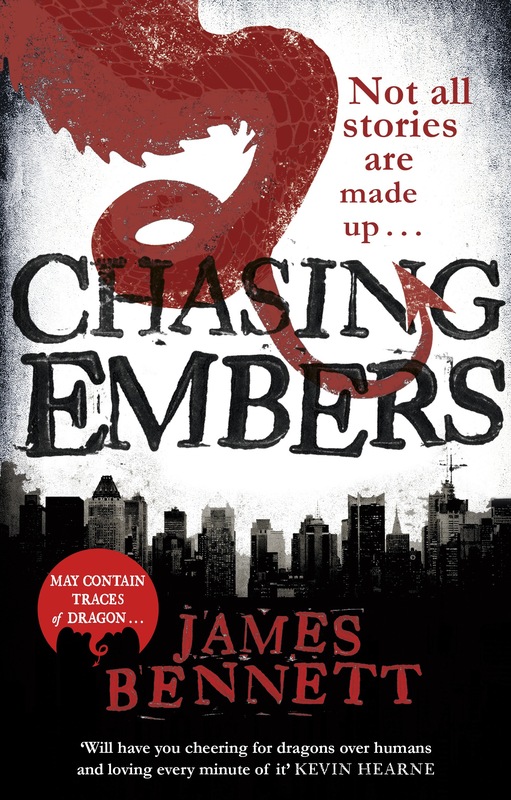 Chasing Embers certainly gets off to a very promising start, in fact you barely crack the book open before there’s an explosion of action that leaves you anxious to read quickly on. I’m not sure how many books are planned but I can see that this has the makings of a very entertaining urban fantasy series where a world of mythology lives alongside our modern world and a whole host of fantasy creatures hide in plain sight. Basically, and without giving away too much of the plot, long, long ago an ancient pact was formed between the fantastical beasts that roamed the earth and the humans. This pact was formed to prevent large scale war and bloodshed and the stipulations of the pact must be closely observed in order for it to remain intact. I’m being a little bit mysterious here because you need to discover the history as you read. Anyhow, at the start of the story, our central character, Ben, finds himself in a couple of close encounters that leave him seriously questioning whether or not the agreement still stands and with his life under threat he finds himself in a desperate chase, following in the wake (or embers) of another creature that could threaten the fragile peace of the world. I enjoyed Chasing Embers, its a very ambitious first book in series but it’s a very well researched story that encompasses many different myths and religions and takes us on a fantastical flight of fancy round the globe from New York to London to Egypt. Yes, there are a few old tropes that pop up but there are also a few unexpected twists that bring something new to the scene. In terms of the writing I enjoyed the authors style. I’m not going to deny that he has a descriptive or wordy approach but this is a style that I sometimes enjoy although I can see that it maybe slows the pace down a little or, more accurately, it’s not something you will be able to race through. A book to savour methinks! I mentioned above that the story is quite ambitious. There’s a fairly detailed plot going on here and whilst at first this may just seem to be a bunch of fantasy creatures holding a grudge the actual main theme is much more in depth with a lot of world building and history to be threaded into the story. Yes, there are dragons, witches and ‘others’ but also thrown in for good measure are Gods! So, to the characters. The main star of the show is Ben Garson, previously known as Red Ben for that is the colour of his scales when he is in his true form. Ben is a dragon. He now walks amongst us in human form and for the past few hundred years his nature has remained mostly hidden, but scratch the surface hard enough and his real character will reveal itself. I think Ben is a fascinating character. He’s not one that you will immediately like perhaps but he’s incredibly complicated. He spends a good deal of time, for example, feeling a bit sorry for himself and wallowing around in self pity but let’s not forget he has a long and detailed past with plenty that he would probably sooner forget! On top of this he has to deal with his basic dragon instincts in a world where damsels in distress don’t really exist and flares of temper will put you into anger management classes. Ben is an ancient creature living in a modern world and is still struggling to adapt. He’s flawed and he certainly makes mistakes as he rushes headlong into situations without really considering the outcome. Rose is Ben’s on and off girlfriend. She doesn’t really know what it is that makes Ben different but she does know that there’s definitely something. Von Blaise is a very amusing character. A member of the fey he has a certain flair for dramatic entrances and I hope for much more from this character in further instalments. Criticisms. I think that my main comments relate mainly to this being a first in series. I need more time to form real attachments to the characters and also to feel that the world is firmly established but this will develop as the series progresses. I would also point out that the author isn’t shy in terms of painting vivid fight scenes so bear that in mind if you’re maybe a bit squeamish. And finally, in terms of the world building. Bennett has managed to fit a lot into this first book. You could argue that maybe he’s tried to cover too much ground for a first in series and maybe in that respect their is a tendency to info dump a little but I think this was quite well blended in using stories and museum talks and the like. On the whole I think this is an impressive debut and I definitely look forward to reading the next instalment. Finally. Don’t forget to visit the other blogs mentioned above where you can read reviews, interviews and guest posts. One Salt Sea by Seanan McGuire. Readalong. Final week. Today is the final week of our readalong for One Salt Sea. I’m seriously loving this series and really loving sharing thoughts with others. I’m a bit late this week as I’m out of the country so apologies for the tardiness. Also due to lack of IT I’m not including all the links and finer detail but even so, please feel free to join in with the comments. Also a bit of an apology for any mistakes! This week’s questions are courtesy of Anya at On Starships and Dragonwings, and will cover chapter 30 to the end of the book. Please beware of Spoilers because they will be lurking. We find out a few tidbits about the Luidaeg’s abilities in this section, including a limit to her power when fighting Raysel. What do you think of these developments? Makes sense or an easy way of keeping Luidaeg out of some battles? Gillian has to make the Changeling’s Choice. What did you think she would choose and how do you think her choice will affect the future books? Do you think we’ll see anymore of her? To be honest I expected her to choose the life she is used to and comfortable with. Two things. Her introduction to the supernatural was hardly likely to entice her and her father has been her grounding influence (as sad as that may seem for Toby – she didn’t ask to be turned into a fish after all). What will happen in the series in this respect remains to be seen. It seems to me that there’s always the possibility of Toby’s enemies using Gillian as a means to an end. Part of me wonders if she might come to wonder more about her choices but even though I think that it does seem that her decision was final. Connor :(. How do you feel about the conclusion to his life and what this means for Toby’s life going forward? Well. I had very mixed feelings really. I admit that Connor wasn’t my favourite. But. On the other side of that I always felt kind of a bit sad for him. I don’t think Toby should have ever started back up with him, it just felt too much like a comfort zone type of affair, and so because, for me at least, it felt wrong it felt almost inevitable that he would come to a sticky end. And what an ending! Saving Gillian! But then to die simply because the arrow had been left in too long. How incredibly sad and even more so because it was Toby making the choice about who to save and as much as it was inevitably going to be Gillian that still must make her feel enormously guilty. I confess I don’t know what to make of it all and need some time to digest it. Such a lot of ideas particularly regarding the Luidaeg. This one year ultimatum is obvioulsy linked to her helping the selkies originally. They must have had some sort of pact and obviously nothing is free. What they’re expected to pay back though I have no idea. Bring on the next book says I. 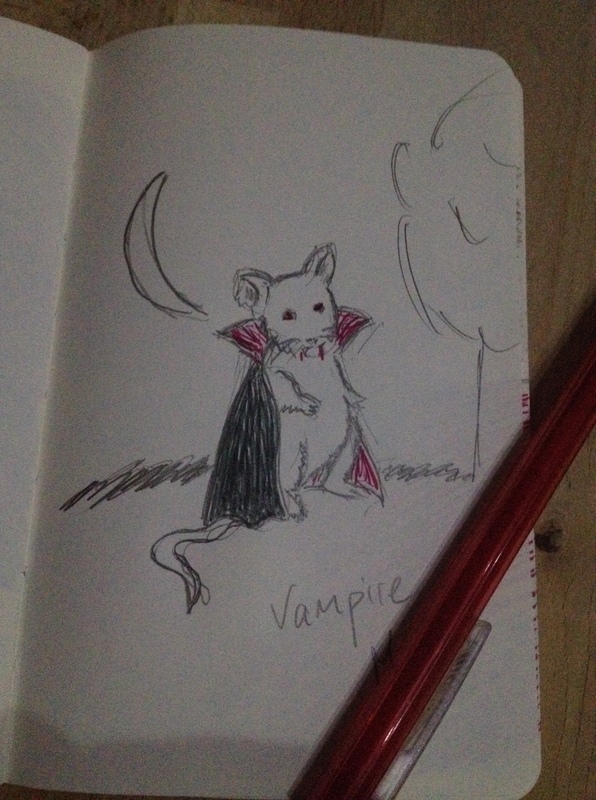 Fan Art Up is a weekly feature hosted by Tabitha at Not Yet Read. Details here. Stop over and check out the other’s taking part. 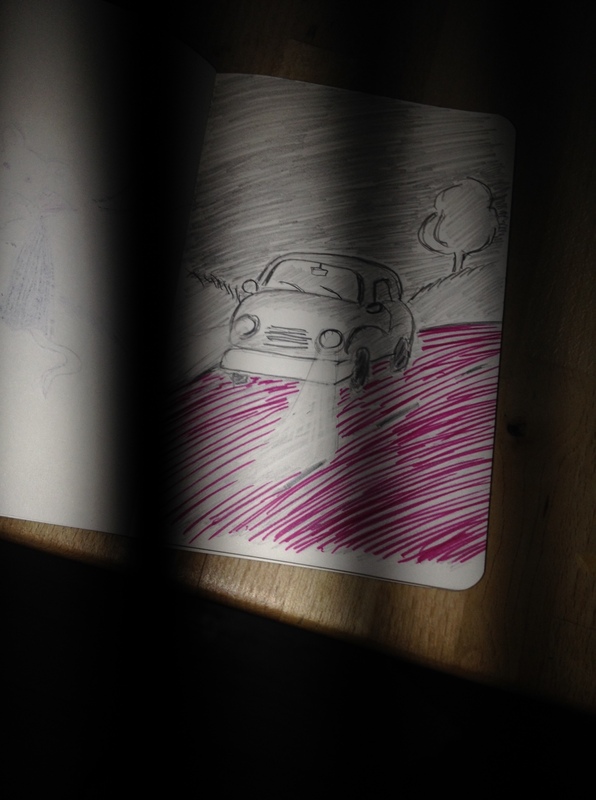 Each week I see if I have a book doodle or just a random doodle to place here. This week I’ve read an anthology of fantasy stories called Beyond the Pale and am currently reading City of Stairs by Robert Bennett. And flights of angels sing thee to thy rest!…..
Just a little spoiler alert – the following are turncoats, treacherous sorts so, basically speaking, if you haven’t read these books then spoilers be contained herein! You have been warned. Mr Tumnus from the Lion the Witch and the Wardrobe by C S Lewis. 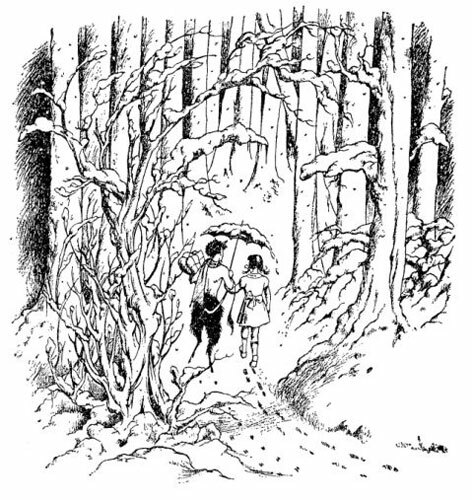 I love Mr Tumnus and I forgive him – but he was a little turncoat there momentarily! He went to the wicked snow queen – he did. However, he kind of paid for it and he felt duly sorry! The start of Brandon Sanderson’s Way of Kings – the Breaking of the Oathpact – ten heralds in a pact together, vowing never to leave one behind after the furious battles they fought – went and left one trapped in hell! Now, I confess, if I was the one left behind, in hell, whilst the other nine walked away to lead whatever blissful lives followed – no, there would be no forgiveness for them. There’s a saying about hell hath no fury like a woman scorned, well, times that by 10 and you about have the strength of feeling that I’d have for the other nine heralds. Call me old fashioned but I’d be seriously annoyed. Livid even!!!!! Seth McGregor from Bloodstone (No.2 of the Rebel Angel series) by Gillian Philip. I can’t really say too much about this – but, he did have a moment there. However, he’s so very easy on the brain, total mind candy and, well, just… you know. I forgive him. And, he was pretty severely punished! J K Rowling’s Harry Potter – Peter Pettigrew. What a rat (sorry, bad pun intended). Betrayed his friends and became a little snitch and dirty double crosser for he who shall not be named. I mean, he was one of the Marauders, best buddies with Sirius. He helped to create the Marauders map and was the keeper of the Potters secret hideout – and we all know how that ended. How could you Peter! Lord of the Rings – if I didn’t give it a mention it would just feel weird. Who to name though. Grima betrayed his own people? Smeagol betrayed his own people? – the Ring – it betrayed Gollum and went to Bilbo. Cypher – from the Matrix – he just wanted to taste some steak (well, he was probably a bit pissed off at being thwarted by Trinity but….